I’m thrilled to announce there is also a central Starzyia shop on the site which has served its first customers, and that for the month of January you can save 15% with the code: weparty15 (unless you are on my mailing list and then you should use your secret code to get 20% off all month). I also put up a number of bonus earring sets for my first customers, 4 of which still remain at this present moment – meaning the next 4 customers will have a pair each added to their parcel. The site is secure, easy to use, and I hope you will find it filled with eye candy and everything you can hope to find. I’d love to thank you for your support here and I hope this isn’t goodbye as I’m fond of you all. And Happy New Year! may 2014 be an amazingly good year for you and your families. 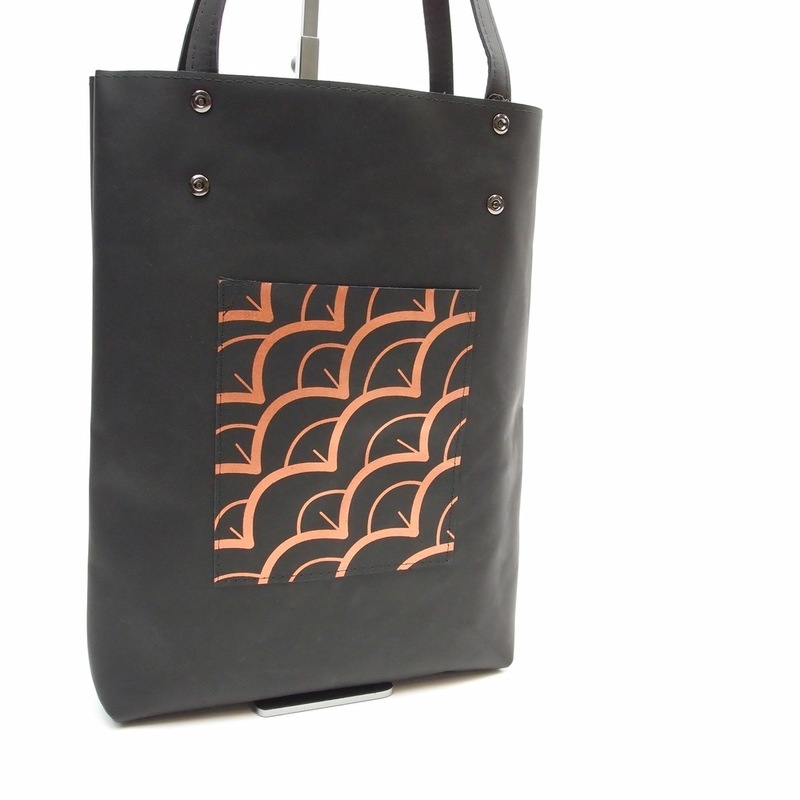 Amazing things can happen when you put out feelers into the handmade world. As a creator of handmade and someone who spends a lot of time supporting handmade artists and creators, I have of course been giving handmade gifts for a long time, but the only times I’ve ever given handmade to my Dad was when I created it myself. Honestly, it is hard to give for my Dad who at 81 isn’t terribly interested in shopping and doesn’t think he needs anything. But this year I put out a request to my handmade community on madeit asking for help to find a handmade gift for Dad – specifying that he does not wear jewellery (not even a wedding ring), is an artist, doesn’t have hanging space on his walls or shelves as he has too many of his own works to display, doesn’t need any kind of gadget or tech accessory, and is not a metrosexual guy. Within minutes, Rebecca of BHO bags and purses had replied offering to create a custom designed, personalised, leather brush roll and I was thrilled! 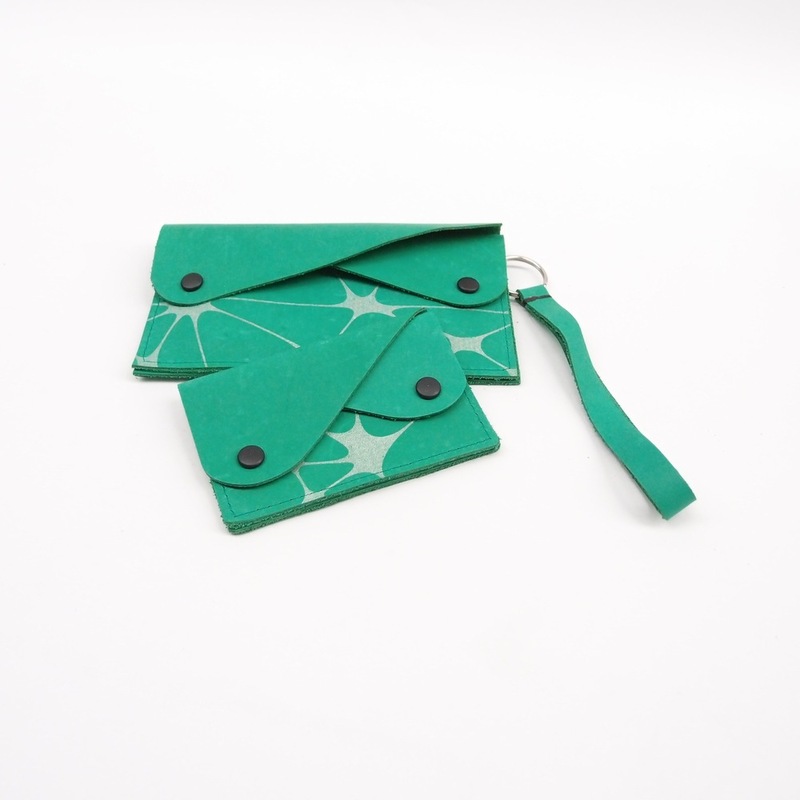 I was already very familiar with Rebecca’s work, as she is a fellow Western Australian designer and makes beautiful leather bags, purses, and wallets and here she was offering to create something a bit different from her norm but eager and willing. I can also say that it was so easy to work with Rebecca and once I measured out Dad’s brush sizes (in a top secret mission) and provided some simple information I was able to choose from Rebecca’s design options and was provided progress pictures along the way. A totally delightful and easy experience. 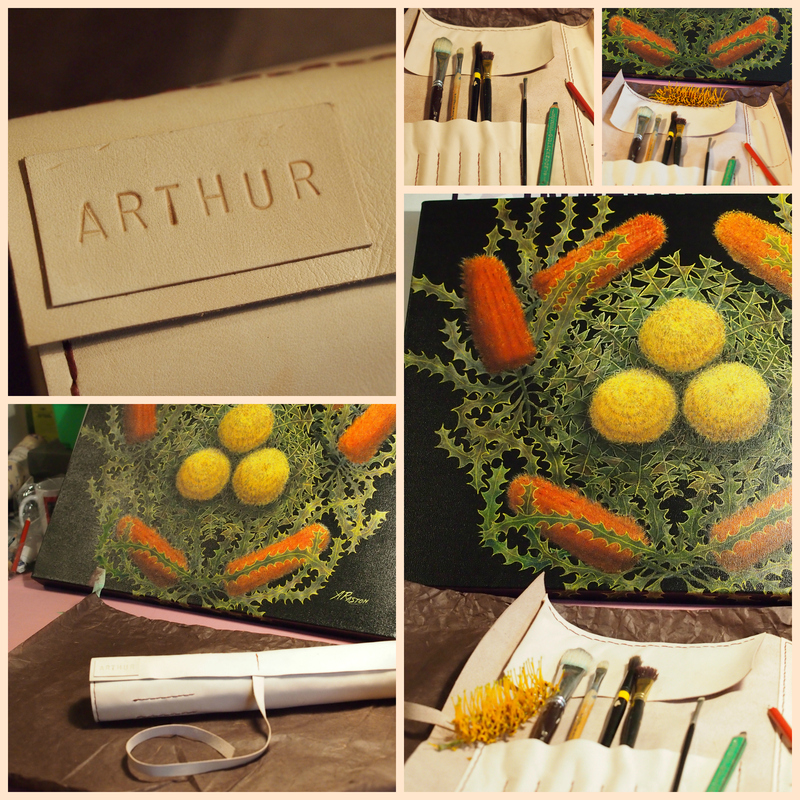 So this is what my father, artist Arthur Raston, and member of the Water Colour Society of Western Australia will be receiving for Christmas in 21013 – a thing of beauty isn’t it! I can’t help but share a few of BHO’s other offerings because, well, they are spectacular and will make beautiful, long lasting gifts for the folks on your gift list. Thank you so much Rebecca, you are my handmade hero (heroine!) your generosity in your time and your loving handmade work really touches my heart and I hope Dad will proudly brag about his handmade brush roll – we will be sure to recommend BHO always. 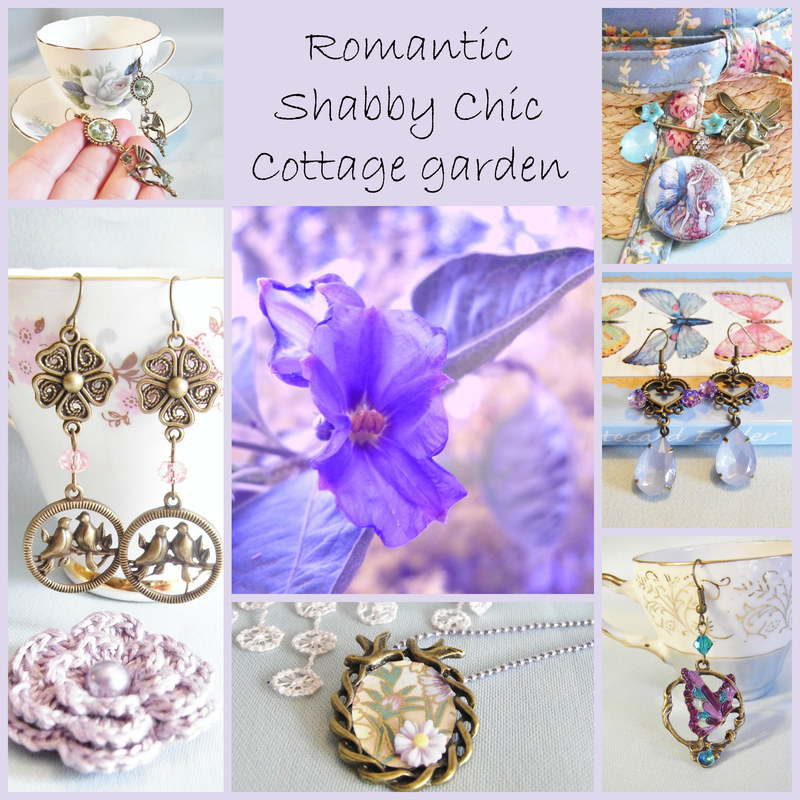 This collection is handmade especially for the romantic cottage dweller – she lives in, or would love to live in a shabby chic cottage with a floral garden – these designs are available in the Starzyia etsy and madeit stores, with new designs added as often as possible. Does her heart skip a little beat for anything French? 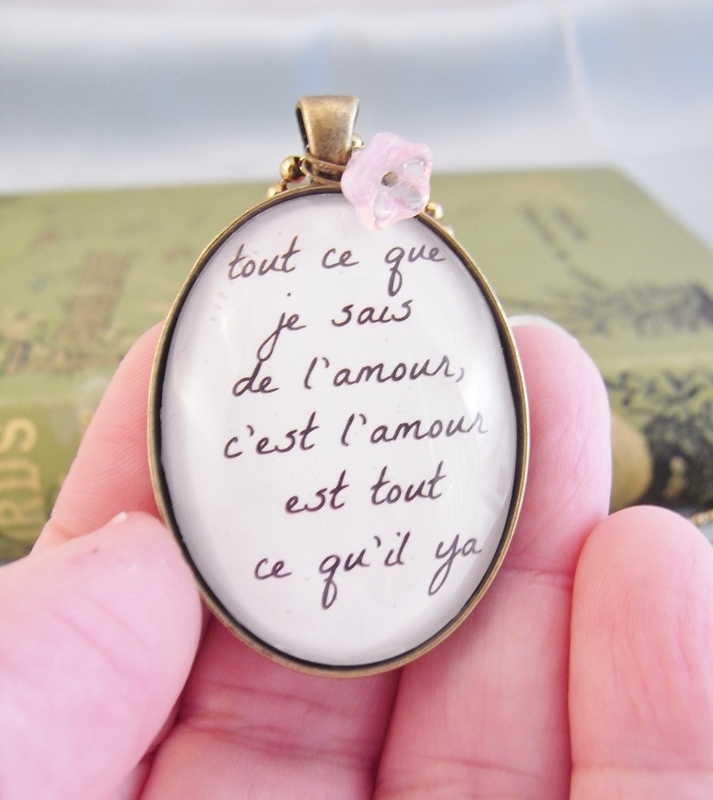 Well I have some beautiful, unique, French inspired jewelry so you can tell her how you feel in French! 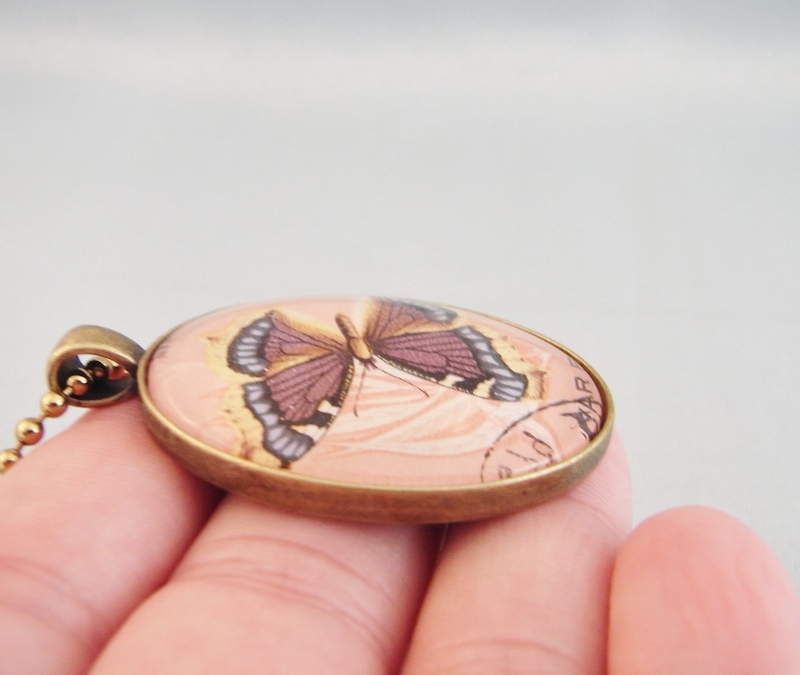 I have French jewelry sections in both my etsy and madeit stores. 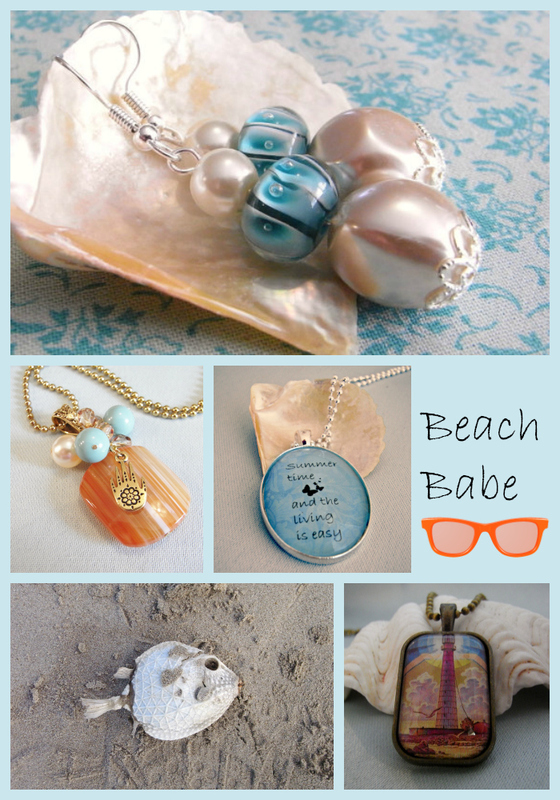 If she is a real free spirited beach lover, then how about some nautical jewelry to treasure always? 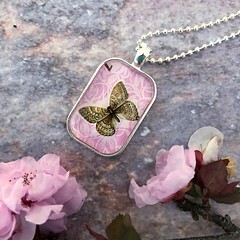 The jewelry featured above is from my etsy store, and as it will soon be Summer in Australia, I’m bound to add a few more interesting designs to celebrate! I am thinking about designing my first range of beatnik jewelry, and I have lots of other styles already available in store, I honestly have something for every woman in your world, if she is your friend, your sister, your mother, your girlfriend, your wife, your daughter, your grandmother, your boss, your teacher, your co-worker, she is someone who matters to me too as I have all these wonderful people in my life and they inspire me to create every piece. 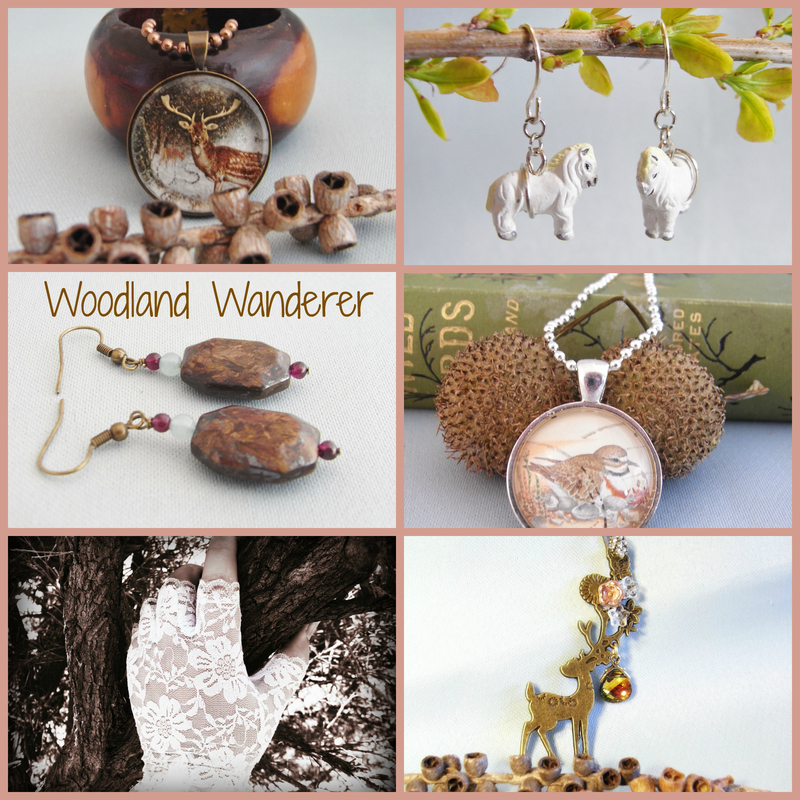 It’s giveaway time, I am thrilled to have crossed the 200 barrier – with both my number of etsy sales, and my number of facebook supporters, yay! I love everyone who has gotten me to this humble but exciting milestone and want to reward you, and also welcome new supporters, with this free giveaway run via punchtab on facebook. The prize is the pendant and earring set pictured here, with the quote “keep your faith in all beautiful things”, 30x40mm silver plated pendant, with silver plated ball and chain necklace, and co-ordinating earrings made with czech glass pearls, swarovski crystal, and 925 sterling silver earwires. I will also ship the prize for free internationally. The competition is open now on facebook and closes 3rd November 2013. 1. ELIGIBILITY: Starzyia giveaway on facebook welcomes entrants from around the world, and one lucky winner will have their prize sent via airmail. All employees of Starzyia.wordpress. (“Sponsor”), all associated agencies and each of their sales representatives, distributors, or agents (all of the foregoing, together with Sponsor, collectively referred to as “Sweepstakes Entities”), and their immediate family members (spouse, parent, child, sibling and their respective spouses) and those living in the same household of each (whether related or not), are ineligible to participate in the Sweepstakes. All applicable federal, state and local laws and regulations apply. Void where prohibited or restricted by law. Entry in the Sweepstakes constitutes your full and unconditional acceptance of these Official Rules. NO PURCHASE NECESSARY. A PURCHASE WILL NOT IMPROVE YOUR CHANCES OF WINNING. 2. SWEEPSTAKES PERIOD: The Sweepstakes entry period begins at Oct. 25, 2013, 6 a.m. and ends at Nov. 4, 2013, 6 a.m. (the “Sweepstakes Period”). Winners will be selected from entries properly submitted and timely received during the Sweepstakes Period. 4. PUBLICITY: As a condition of entry into the Sweepstakes, except where prohibited by law, each entrant and each winner by accepting a prize grants to Sponsor and its affiliates, legal representatives, assigns and licensees, all right, title and interest in to publicize, broadcast, display and/or otherwise use the Sweepstakes entrant’s name, city, state, and biographical material (collectively, “Licensed Rights”) in any media now or hereafter known throughout the world in perpetuity for advertising and publicity purposes, without additional review, compensation, permission or approval of the winner. Where necessary, the Prize winner will be required to execute and return an Affidavit of Eligibility/Liability and Publicity Release within twenty four (24) hours of attempted notification or the winner may be disqualified and an alternate winner selected. Prize winner must be available for promotional display and presentation between Nov. 4, 2013, 6 a.m. to Nov. 5, 2013, 6 a.m. or will forfeit prize to next winning entrant. 5. SELECTION OF SWEEPSTAKES WINNERS/ODDS: The potential Prize winners will be selected in a random drawing to be held after Nov. 4, 2013, 6 a.m.. Winners will be selected from entries received during the Sweepstakes Period. Odds of winning will depend on the number of eligible entries received during the Sweepstakes Period. The potential winners will be notified via email to the email address submitted with the potential winner’s entry within twenty four (24) hours after the drawing. The drawing will be conducted by Sponsor, the judge of the Sweepstakes, whose decisions on all matters relating to the Sweepstakes shall be final and binding. In the event that a potential winner is disqualified for any reason, Sponsor may, in its sole discretion, award the applicable prize to an alternate winner selected at random. Any return of prize notification or prize email as undeliverable will result in forfeiture of any prize and an alternate winner may, at Sponsor’s discretion, be randomly selected. 6. 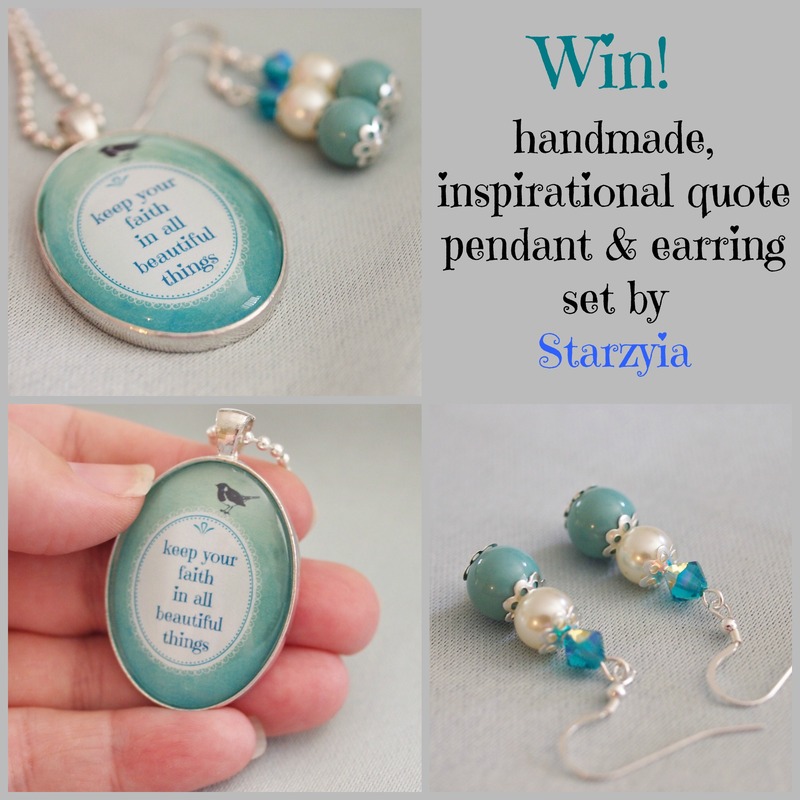 PRIZES: Inspirational Quote Pendant & Earring Set by Starzyia. Prize will be delivered after Nov. 4, 2013, 6 a.m.. The Prize will be delivered to the winning entrant’s address or at the sole option and discretion of the contest sponsor to a recipient designated by the contest winner. Prizes are not transferable and are not redeemable for cash. All taxes and other charges are responsibility of the winner. No substitutions allowed. All expenses not specifically mentioned herein are not included as part of any Prize package, and are solely the winner’s responsibility. 8. PARTICIPANT OBLIGATIONS: By participating in the Sweepstakes, you agree to be bound by these Official Rules and the decisions of Sponsor. By accepting the prize, the winner agrees to release and hold Starzyia.wordpress and affiliates harmless from and against any and all losses, damages, rights, claims, actions and liabilities of any kind in connection with the Sweepstakes or receipt or redemption of the prize. The winner assumes all liability for any injury, death, or damage caused, or allegedly caused, by participating in the Sweepstakes or use or redemption of the prize. Here is my original product photography post from back in 2011 https://starzyia.wordpress.com/2011/07/30/creating-artistic-product-photographs-for-online-selling/ I still stand by my advice of analyzing photographs that grab your attention online, and of exploring your home, don’t rely on your memory alone at this point, really look through your belongings with a new pair of eyes and make a list of everything that can potentially be used in a photo shoot. Then you need to think about each individual product you want to photograph, remember this isn’t going to be a K-mart pamphlet this should be somewhat artful and emotional – your best photographs are ones that show your product in the best light and that includes evoking feeling, you know how you want your customer feel when using your product, so let’s try and create that feeling in them right here and now just by looking at the photograph. I thought I’d show you some of my thought process for my photography, not because I am under the illusion that I’m the best in the world at photography (of course not!) but it is much easier for me to use my photographs and share what I was trying to achieve, you can be your own judge of the photographs and the statement they make. 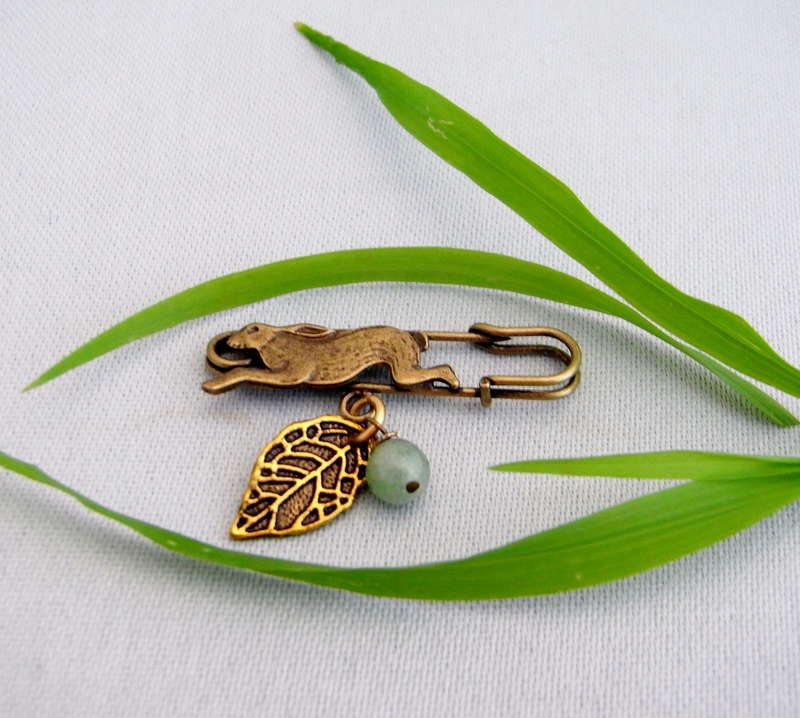 With the running hare brooch, my original thought was that it is symbolic jewelry, a wild animal, with leaves and natural epidote beads so I thought: woodland, nature, freedom, and of course… grass! So I went and snipped some of the long grass we have in the backyard and attempted to artfully arrange it on the neutral silver grey fabric I use in many of my photo shoots. The first photograph is usually my lead photograph, it is like an eye, and draws your eye to the brooch and I can tell you it is very effective on my shop pages even though other jewellery on my page is brightly coloured. But I always include the second photograph with the grass opened, this is much freer, and gives the hare room to run, which hopefully is joyful and liberating to the soul. 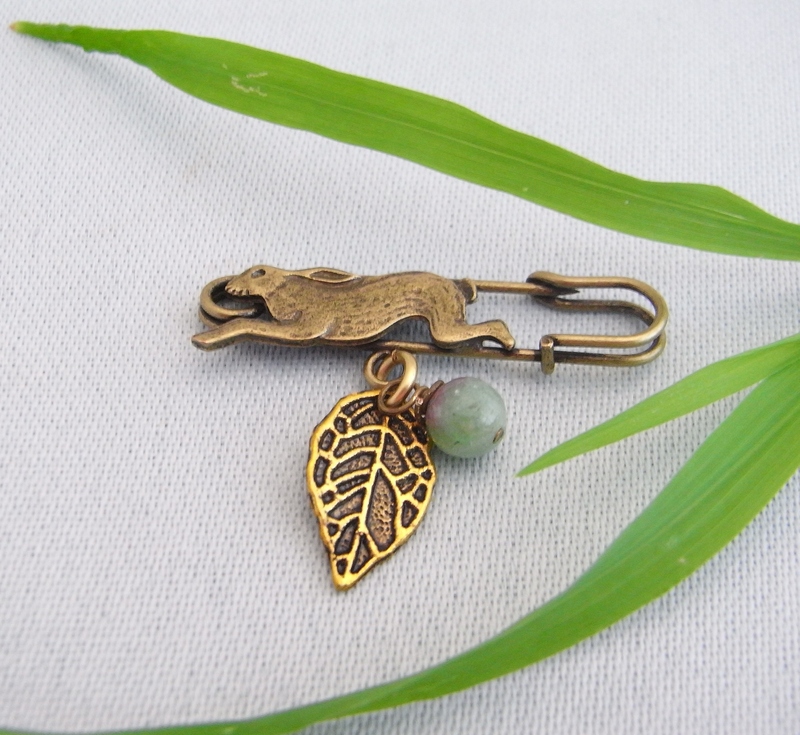 What do you think, do you like the association of the grass, do you like the feeling that the hare is running and possibly leaping over the leaf and bead, clearing all obstacles in its way? Can you brainstorm a similar process using different props for your own unique product – what do you associate with each of your creations? How can you depict that? With these pendants, one using chiyogami paper, the other a popular altered art image of a kokeshi doll, I decided to use a small doll prop that I had, with this kind of thing you do need to be careful about whether the prop enhances the product, or steals affection away from the product – the last thing you want is someone contacting you to ask where they can buy the doll from, while ignoring your hard work creating your product! 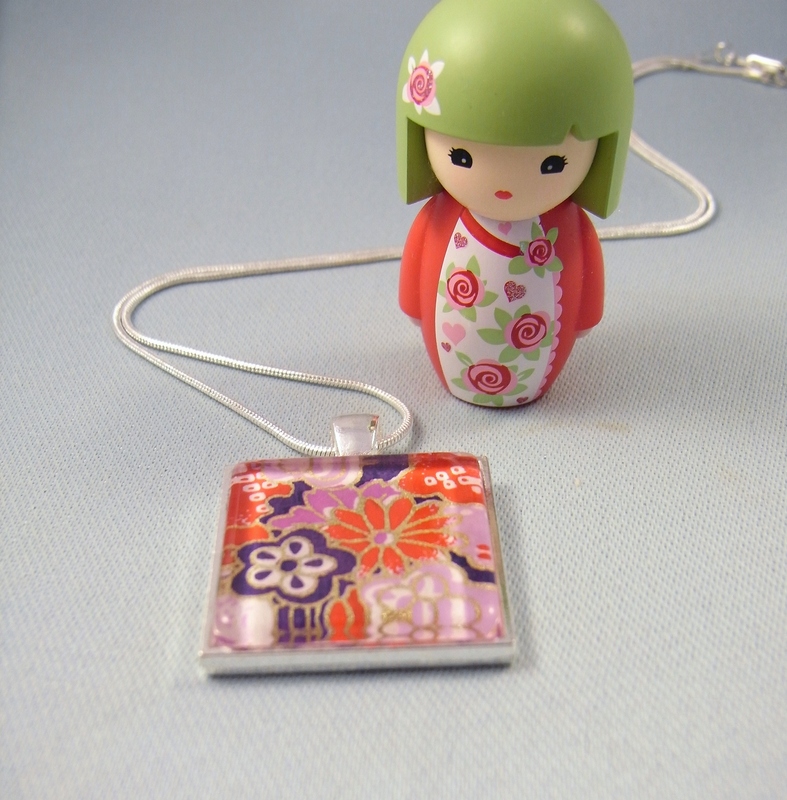 You can probably tell I have been much more successful with the first image, with the chiyogami paper pendant, and the second photograph is also over exposed and not flattering shot of the actual pendant art. 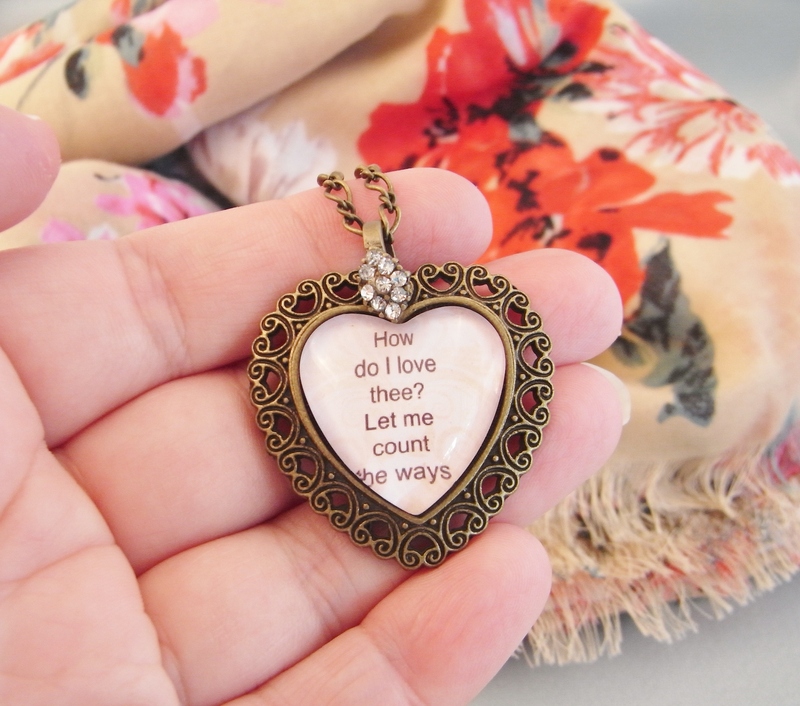 In both photographs though, it has been the right decision to have the pendant in front of the doll. In the first image, I like the simplicity, there is a simple expanse of my regularly featured light silver grey fabric, with just two sources of colour – the pendant and the doll. In the second photograph, although I had to reshoot, I liked the cascade of scarf fringing like cherry blossom. 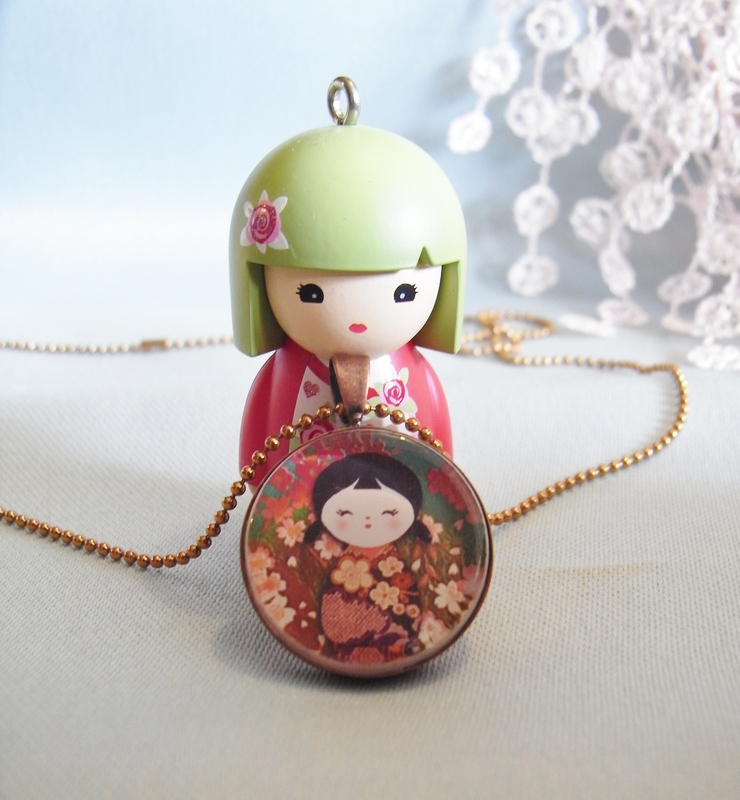 This also shows you how it is worth having the right prop for your product – although I collect matryoshka dolls, I definitely wouldn’t team the Japanese pendants with them, like goes with like in the mind of the customer. The doll definitely indicates the world region and style of the jewellery and has a cuteness to it that grabs a customer who may be looking at an entire page (or pages) of search results – not always looking just at a page of your own products – you want to stand out from the other product images from the competition. You’ve probably also been advised to show how your customers would hold or touch your product, since an online shopper cannot physically do this for themselves. I started photographing my jewellery in my hand to try and achieve this and also help show the size of each piece visually. In the first photograph, I have the item flat on my hand, with my fingers stretched out and away from me, like I’m offering the piece to someone. In the next photograph, I had started to show how it looks to hold the item in your own hand like you had just received it, or love it so much you just had to stop and look at it again and again. In the last photograph I had started to think that holding it with my fingers curled around it made it look more treasured, held safe and fast in your hand like you are hugging it. Do the three different photographs of me holding my jewellery make you feel differently? Can you see what I mean about the moods created just by the way you hold something in your hand? So you can see how much I am continuing to grow, since all these photographs were taken this year, I went from focusing on props used, to composition of the shots, to even including body language in my photographs, and you can imagine what an impact all three elements would have for other types of products especially in fashion photography, children’s toys, and home decor – really you can spend the rest of your life growing the way you think about and execute your product photography and I hope you will do that and find it increasingly enjoyable rather than a stressful and difficult feat to achieve. I know so many people who have transitioned from a negative mindset about the demands of photographing their work to now enjoying it almost as much as they do creating their product to begin with. How do you feel about your product photography? Is the way you feel about it different now than before you read this post? 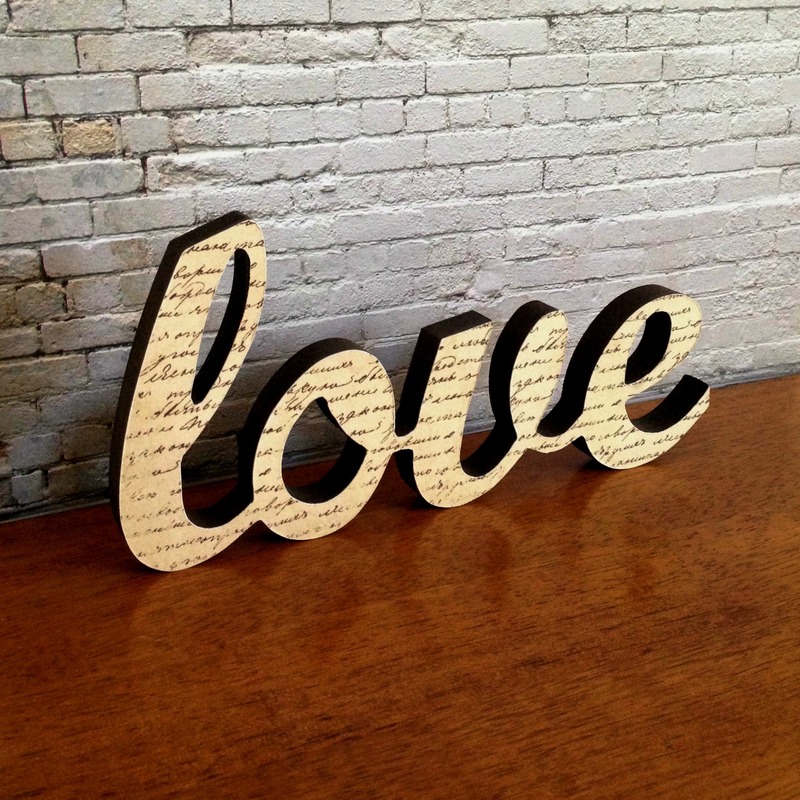 This always puts me in a good mood: introducing an amazingly talented and dedicated handmade small business artisan, and Belinda from Studio Astratta has created work that puts me in a good mood every day – she created the wooden decor word ‘dream’ I showed you in a previous post, that brightens up my studio. 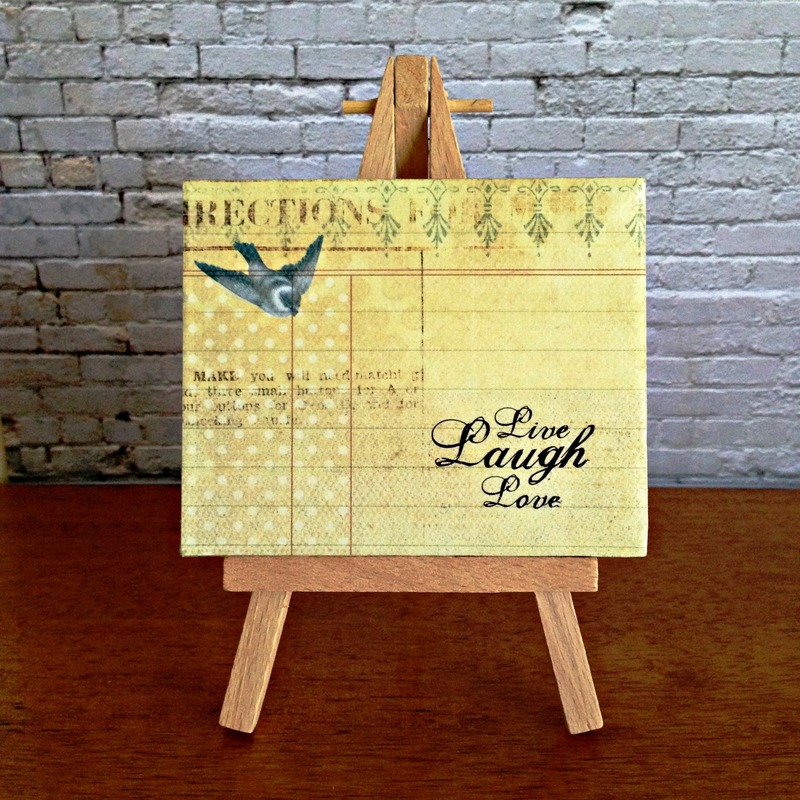 I also have the mini easel artwork “all you need is love” that Belinda is featuring in today’s blog post, you should get one, honestly! 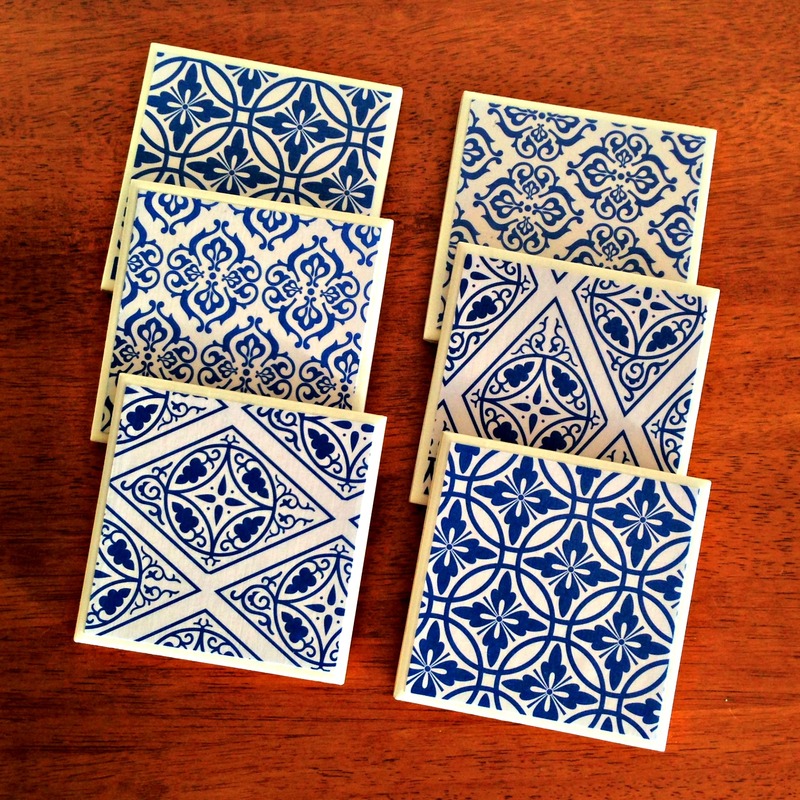 Hi, I’m Belinda, creator behind the home decor label Studio Astratta. I’m a Sydney girl but followed my heart to Brisbane a few years ago, where I live with my wonderful boyfriend in a beautiful bayside suburb. 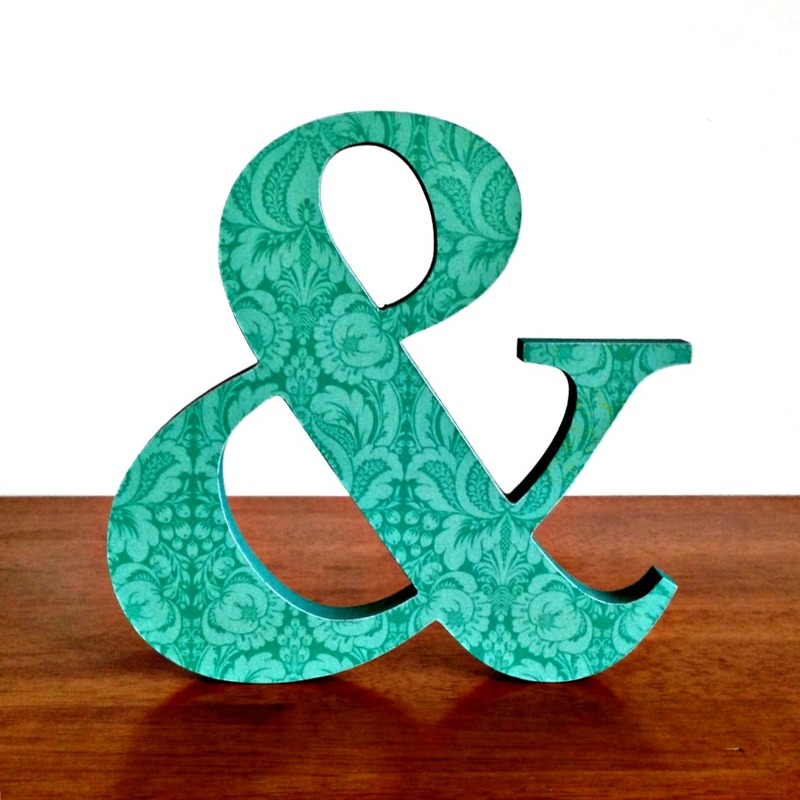 Studio Astratta is all about unique and inspirational handmade home decor and gifts, including abstract paintings (‘astratta’ means ‘abstract’ in Italian), mini canvases featuring inspiring quotes, wooden words and ampersands, pen holders and ceramic coasters. For as long as I can remember, I have loved creating (and selling) beautiful things. As a child I would make things (think mice made from seashells etc) and sit out the front of my house with a little table, selling my creations to neighbours and anyone passing by! In high school it was all about drawing. I even created a family of elf characters! I still have the drawings. 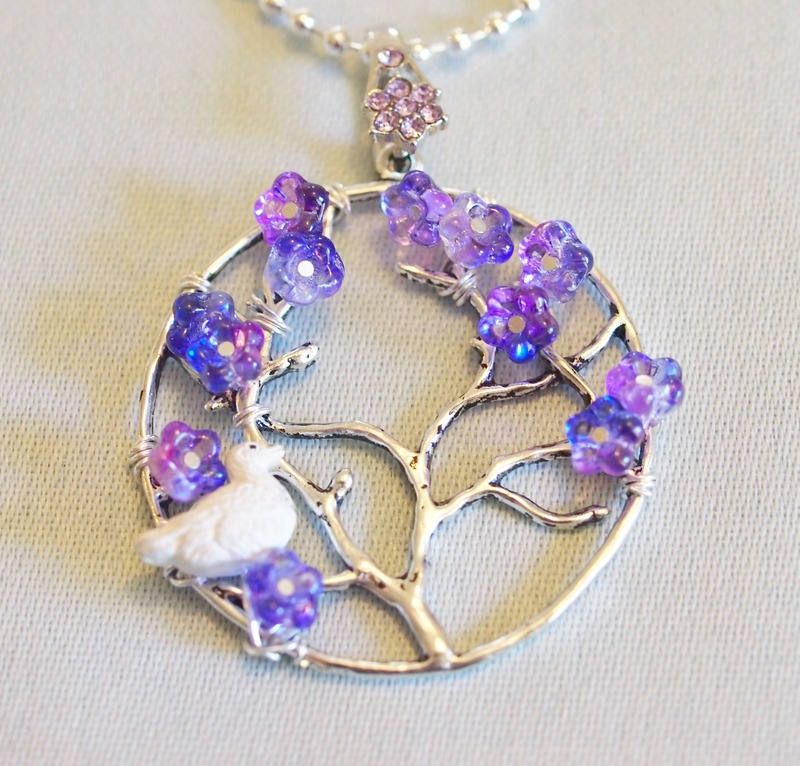 I began creating more seriously a few years after finishing high school, when I taught myself how to make jewellery. I spent a few years designing, creating and selling jewellery before deciding that it wasn’t for me. I moved from Sydney to Brisbane in late 2010 and began abstract painting in an attempt to fill the empty walls of my new home. 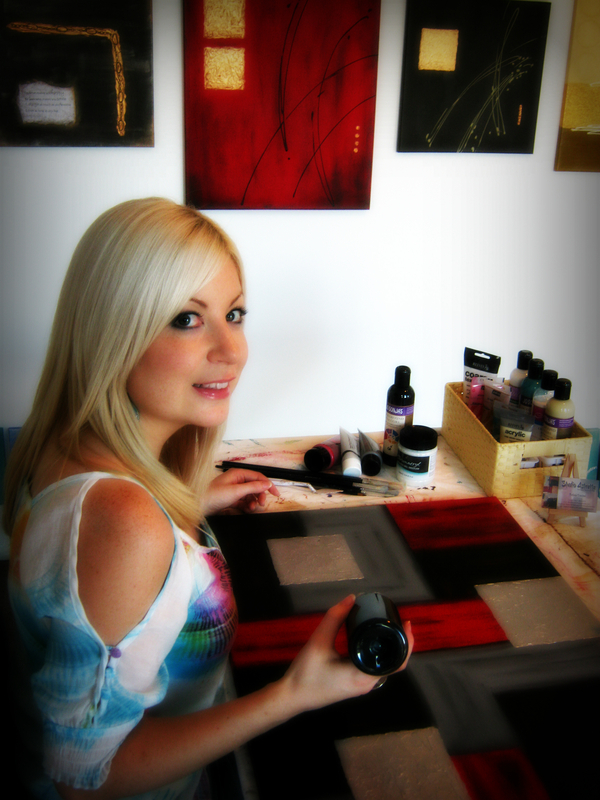 After receiving lots of positive feedback from friends and family, I decided to sell my paintings and in early 2012 Studio Astratta was born. My attention has since turned to paper craft and Studio Astratta has evolved from abstract paintings to a range of home decor pieces. What kind of things inspire and excite you? I have always been inspired by quotes and words. 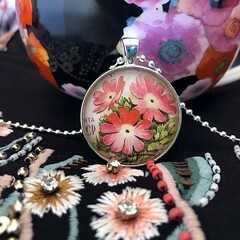 I surround myself with them – stamped onto jewellery, printed on cushions, inked onto china, scrawled on scraps of paper… Many of my products also focus on inspirational quotes and words, so my studio is full of them! 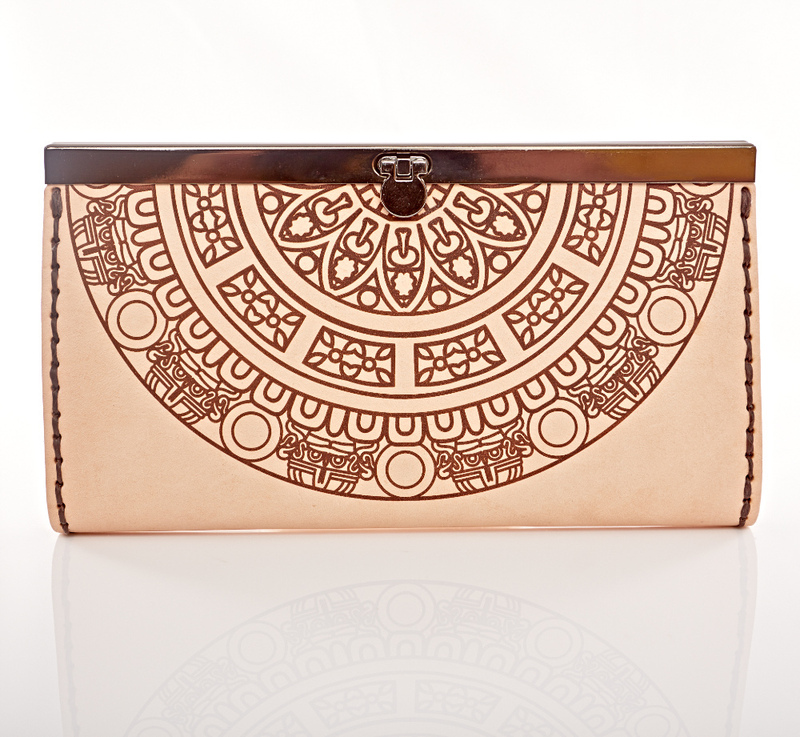 I also draw inspiration from magazines, Pantone colour forecasts and on trend patterns like chevron and Aztec prints. 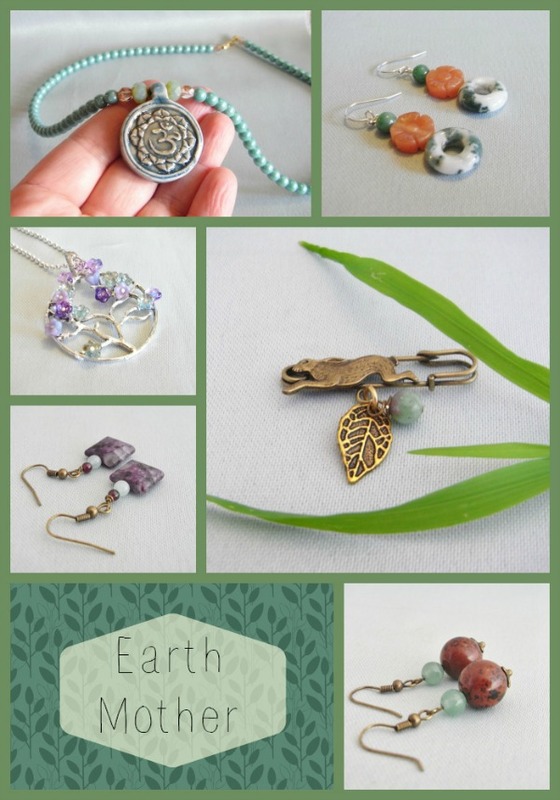 As for what excites me – every sale I make and every time my work is featured somewhere! It’s also exciting when I come up with a new idea for a product or find the exact supplies I have been looking for. I find photography one of the hardest things about selling my creations online. It’s so important to have the best photos possible. I recently rephotographed all the products in my store based on tips and advice from fellow madeit sellers. There is still definitely room for improvement but I’m much happier with my new photos and have received great feedback. Some of the most important things I’ve learned are to avoid using distracting props, to include ‘in use’ photos, and to edit the brightness and contrast to make the photo POP! 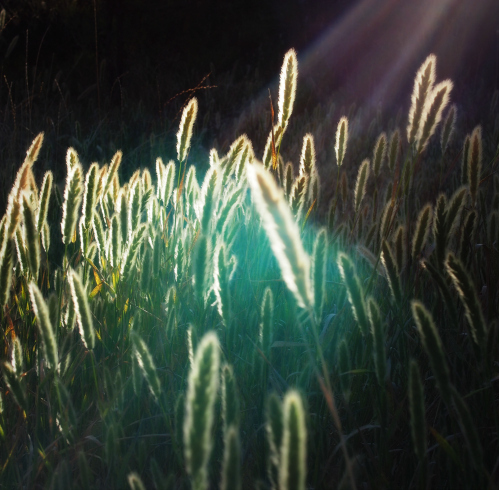 I use picmonkey.com and Microsoft Picture Manager for photo editing. My ultimate dream is to be able to work on Studio Astratta full time. Other than that, I hope to continually exceed my sales goals and possibly sell my work through carefully selected shops and markets, in addition to my madeit store. 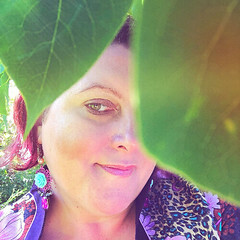 Thanks Belinda, and I wish you every happiness as you live and create for Studio Astratta. 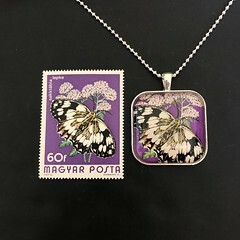 You can find handmade symbolic, traditional, and healing jewellery and give something that is meaningFULL and inspiring. 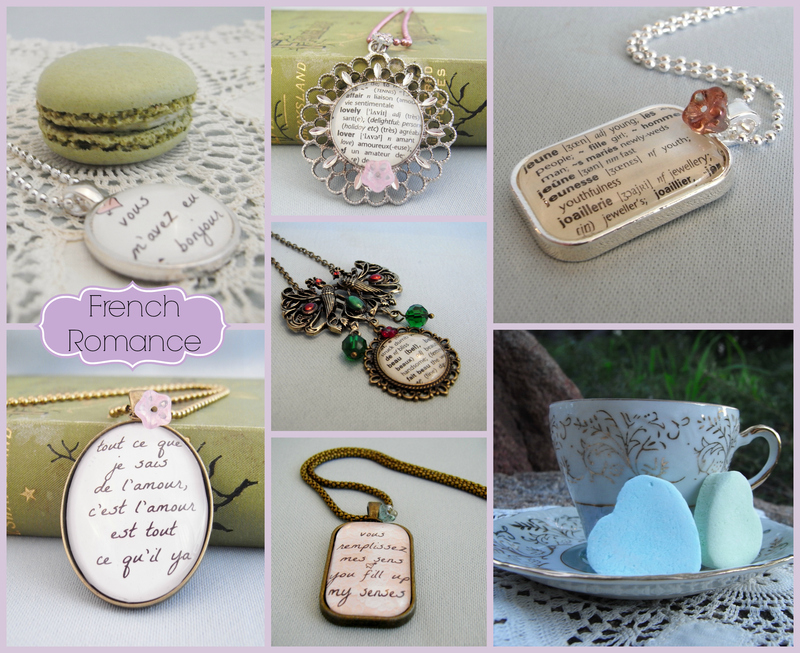 Its also worth remembering that you can get some wonderful, romantic, OOAK jewellery from my French collection that will serve as anniversary, engagement, birthday, and Valentine’s gifts and I’ve been blessed this year to have seen some of my romantic pendants go out as 10th Wedding Anniversary gift and Mother’s Day – I love to know this and am so grateful the feedback I’ve had from my gorgeous customers this year. All members of the Starzyia mailing list will be entered into the draw (using random.org) to win the CIJ Prize Pack which has been inspired by The Victorian Fairy Tales. 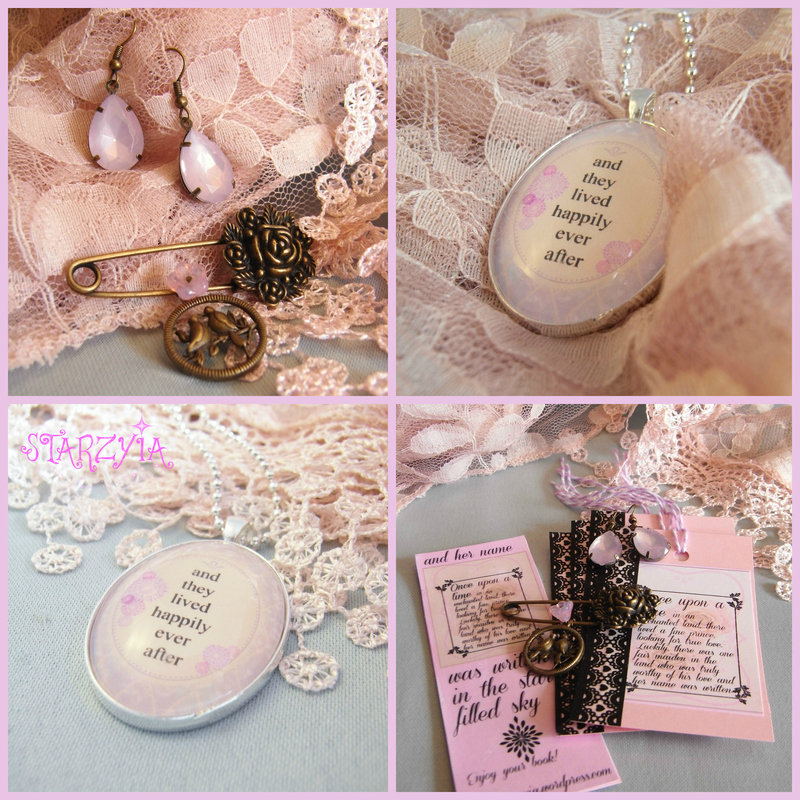 One lucky reader wins the lot: Victorian Rose Garden jewellery set – kilt pin brooch and earrings; And They Lived Happily Ever After pendant; Fairy Tale bookmark and gift tag set (4 tags); and shipping to either Australian domestic or international location. The draw is being held on July 25th, so if you want to win just sign up before then (now would be a good time, hint hint) and you can do that using the newsletter tab here on the blog (look under my banner image). I will only ever send members one email a month, which is a free newsletter giving you a heads-up and head start on all sales events, bigger discounts than the public and exclusive content you won’t find anywhere else. 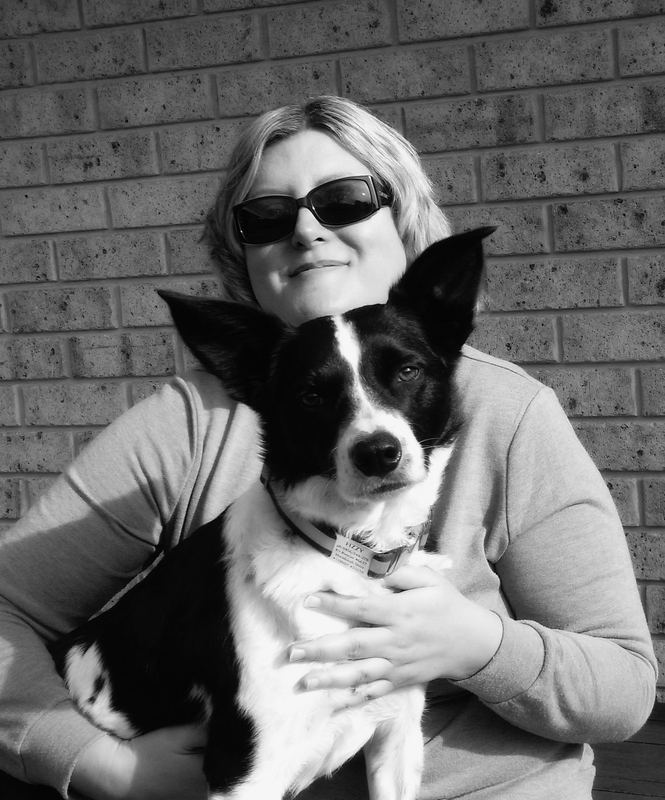 On July 7th I celebrated my Fizz-aversary which in normal speak is my one year anniversary with my adopted dog Fizzy. I have seen my beautiful boy transform from 7 month old who had had the rug pulled out from under him (family opened the gate, drove away, moved house without him) to 19 or 20 month old who is positively joyful and knows his place in the world and that we will always be there for him. He is taller and stronger, his black spots a little darker, has lost his puppy hair and is glossy and silky. Everywhere we go he is praised, and I am proud to tell people I got him from K9 Rescue Group, the best dog rescue group in the state. In one year we have learned so much about each other. I know he was never abused because he is not afraid of anyone being ever so friendly and eager to meet all people. I know whoever had him raised him right (up until the point they dumped him – and I don’t condone that!) 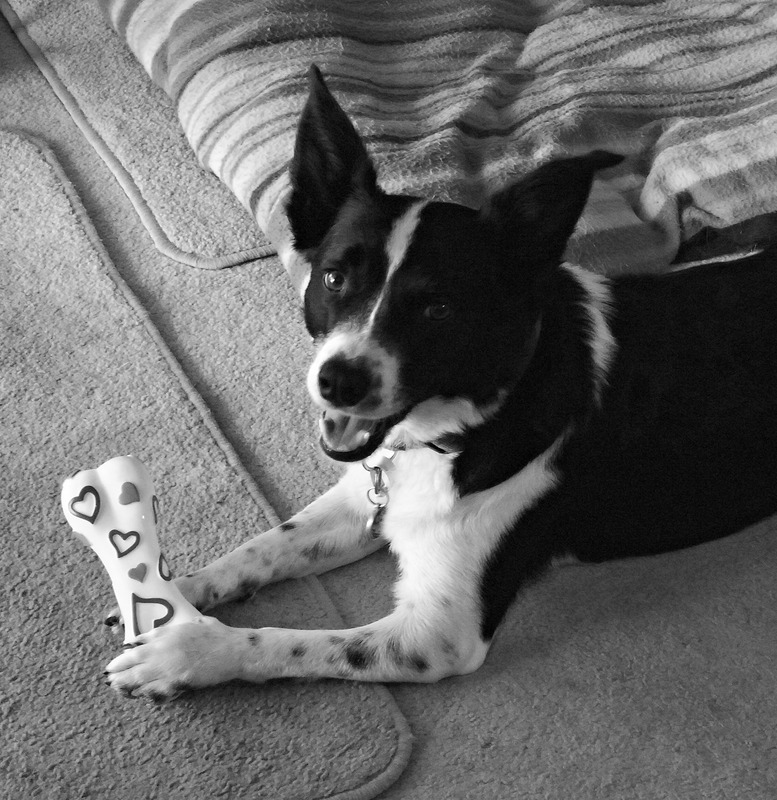 but they must have known what they were doing because he was a saint in our home, house-trained, not a digger, and though young and a heavy chewer he never chewed anything but his own toys or rawhide bones, shoes and socks are safe with him, as are all my business supplies and boxes around the house. He doesn’t nuisance bark, though I am pleased to say he now thinks its worth alerting us to certain events going on around us, but stops barking as soon as he knows we are aware of and handling the situation. He didn’t know ‘stay’ and he had no idea how to play fetch or do anything except chew or tug, and now I can trust him with the gate open and he will sit and stay while I drag the bins back into the yard and get the mail. I have taught him everything myself, thankfully I didn’t need to pay a trainer because he is smart and willing to learn. I am now teaching him to pick up his discarded toys and put them in his space. I say “get your toy” he picks it up, I point to his bed and say “clean up” and he goes over and I say “drop” and he drops the toy there. And if you read my Diary of a First Time Dog Owner way back when Fizzy and I were getting to know each other, I can proudly tell you it is now safe to come to dinner at my house and you won’t get a dog hair in your dinner, thank God. We have had sickness together, and those moments when you wish cleaning horse manure out of their coat was someone else’s job, and our first very wonderful Christmas where he was spoiled rotten with a stocking full of toys. I am looking forward to a long and happy life together with my pride and joy. I’m also hoping that as I grow my mailing list I will have enough readers to begin featuring reader’s pet photos and mini profile of their pet in the monthly newsletter. 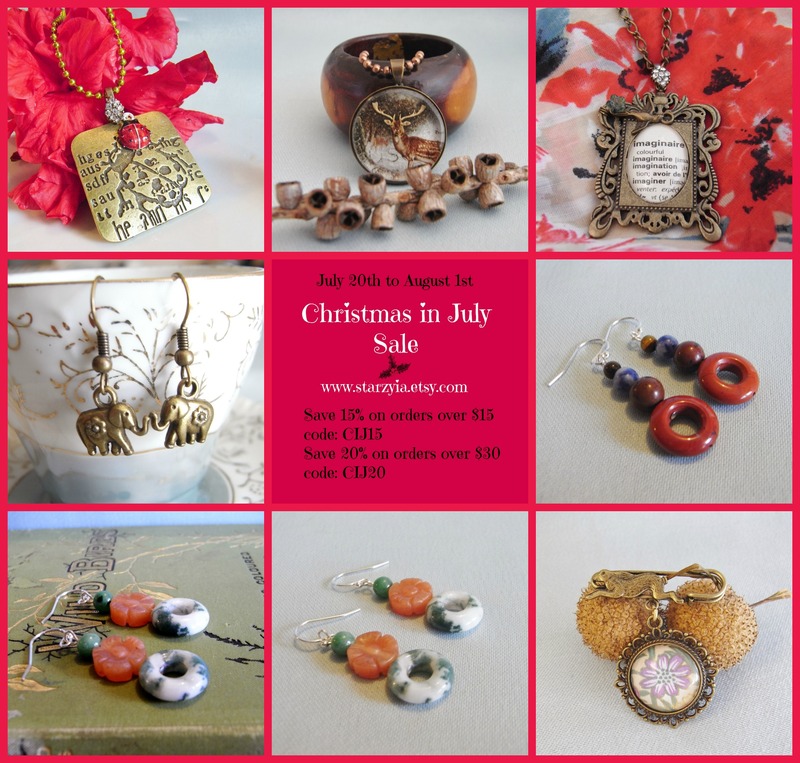 You can sign up to the newsletter using the tab here on the blog (under the banner image) and tomorrow I will be showing off the Christmas in July prize pack one lucky mailing list member will receive. 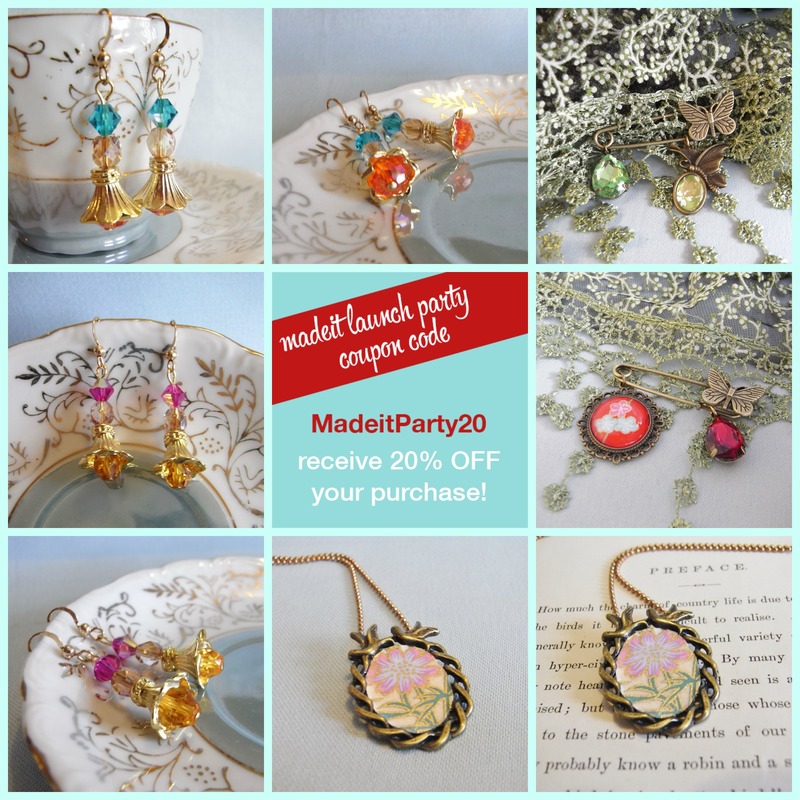 save 20% storewide, Starzyia, during party week! And I really encourage you to search facebook or twitter for the hashtag #madeitparty to see the offers from all participating stores. You can also use my newsletter tab here on the Starzyia blog to join my mailing list in time for this month’s awesome mailing list giveaway Christmas in July, drawn July 25th. I’ll be showing off the prize pack very soon, it has the theme Victorian Rose Garden/Victorian Fairytales – I can hardly wait to find out who will win!